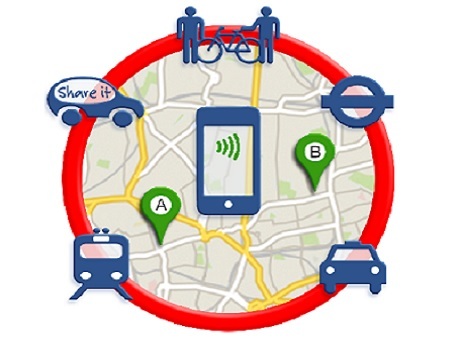 The Urban and Interurban Transport Group at the UCL Energy Institute received funding from the T-TRIG scheme of the Department for Transport (DfT) to explore the feasibility of a new mobility solution that could offer seamless mobility, the "Mobility-as-a-Service" (MaaS). The FS-MaaS project started in March and delivered successfully in June. The objective of the FS-MaaS project was to propose the design of a MaaS concept for London, the MaaS.London, and examine its feasibility. To work towards the concept of MaaS.London, first, the supply and the demand sides of the London transport market are analysed. There are a variety of mobility services supplied in London such as car clubs (car sharing), ride sharing, bike sharing, public transport, rail and taxi which altogether make London an ideal ground to exploit MaaS.London. The MaaS.London is an integrated platform that includes registration and package selection, intermodal journey planning, booking, smart ticketing and payment functions so that the entire chain of transport can be managed in this centralised platform. The most outstanding feature of MaaS.London is the provision of mobility packages, which consist of tailored bundles of mobility services customised to individual needs. The feasibility study indicates that the introduction of MaaS.London will benefit both the supply and the demand side. Transport operators will benefit by creating a larger market via the integrated platform. Travellers will also welcome the concept due to travel expense and time reduction, and better service experience. MaaS.London is a feasible product that can well serve London transport market and contribute to London’s 2020 vision.